Top 5 Kitchen Gadgets | This RD Eats! ← You Can Eat the Skin of a Kiwi fruit?! In honor of my birthday, I thought I would share with you my top kitchen tools that would make a great gift for any “foodie”. 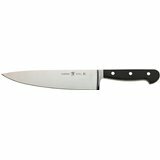 1.Chef’s knife – A sharp chef’s knife will make your nightly meal prep a cinch. This is one place that it is worth it to splurge in the kitchen. I use my Wusthof chef’s knife at least daily (often multiple times per day). I received it as a gift during my master’s assistantship experience at UW-Stout and would recommend it 1000 times over! 2. Silicone Fish Spatula – I bought my first flexible, silicone fish spatula about a year ago and my mind was blown! I’m not sure how I survived without one for so long. I use it for more than just fish. The width and flexibility make this my go-to utensil when cooking. I use it when flipping eggs, pancakes, fish, chicken, -really anything. Because it is flexible, you can really get under your food, but it is strong enough to support a “meatier” food like chicken breast. 3. Microplane – there are few ingredients that I love more than fresh citrus (okay, really anything fresh tops my list). Adding fresh lemon, lime or orange zest to any dish (seafood, marinades, meats, salads) is a cinch with a microplane. I prefer mine with a handle on one side for safety. 4. Paring Knives – Second to my Wusthof chef’s knife, these little bad boys my next favorite kitchen tool. Paring knives are great for those small tasks. I especially love the Kuhn Rikon knives because they are sharp, durable, come with a protective shield and are colorful! 5. Bottle opener – I think they “why” behind this should be obvious. But in case it’s not, you should follow me on instagram! Hint, hint, cooking is a lot more fun while enjoying a glass of wine or beer. 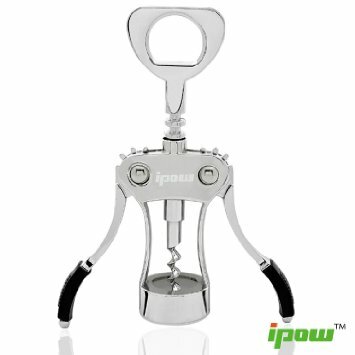 This is the bottle opener that I have and it works for both wine and beer, so I only have 1 tool cluttering up my drawer! Of course there are more tools that I just love, but it’s my birthday today, I thought I’d take it easy! This entry was posted in Products and tagged cooking, kitchen, Kitchen gadgets, kitchen tools, tools, utensils. Bookmark the permalink.